Could You Benefit from These Cosmetic Dental Procedures? There are different types of dentistry, and cosmetic dental procedures can substantially improve your appearance. From teeth whitening and Invisalign to porcelain veneers, there is much your cosmetic dentist can offer you. Keep reading to find out if you could benefit from these cosmetic dental procedures. A cup of coffee may help you jumpstart your morning, but it can leave stains behind on your teeth. Wine, berries, and tobacco products can also cause your teeth to become discolored. If your smile is not as white as it once was, you might consider talking to your cosmetic dentist about teeth whitening treatment. Your dentist can ensure that your teeth are whitened safely and effectively so that you can boost your smile and your confidence. Remember that not everyone’s teeth respond well to teeth whitening, but this is not the only cosmetic dentistry option that can brighten your smile. Sometimes people don’t see the results that they anticipated or desired from teeth whitening treatment. If your results don’t show up after a few procedures, your dentist might recommend porcelain veneers. These prosthetic restorations cover your natural teeth and can add a layer of brightness to hide stains and discoloration. Veneers also increase the surface area of your teeth and can do a great job of filling in gaps between them. Repositioning your teeth, improving your oral health, and revitalizing your smile have never been as convenient as they are with Invisalign. This treatment subtly moves your teeth into their proper positions, much like braces. However, Invisalign works using clear aligners that others do not typically notice. If you want your smile to be straighter without traditional braces, you might want to talk to your dentist and see if Invisalign is right for you. If you are interested in finding out if any of these procedures are right for you , you will need to talk to a cosmetic dentist in Hazlet. Glenwood Premier Dental offers restorative care, teeth polishing, and many other services. Please visit our website or give us a call at (732) 264-4477 to learn more. A dental crown can be used to restore the appearance and health of your cracked or broken tooth. 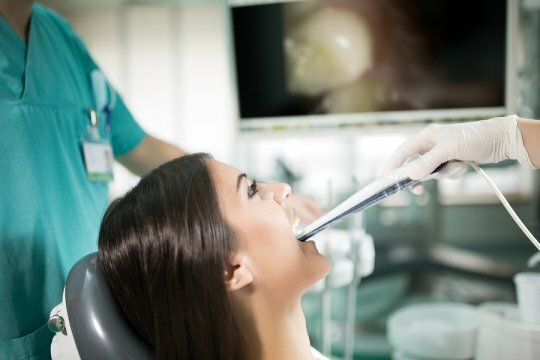 When you visit the cosmetic dentist for a consultation for your crowns, you may want to ask about what different materials are available for your procedure. Permanent crowns can be crafted from a range of materials, including porcelain, gold, or acrylic resin. You can also ask your dentist about whether CapTek crowns could be a good option for your smile. The ideal crown material will provide you with natural and long-lasting results. If you are in need of a cosmetic dentist in Hazlet , be sure to contact Glenwood Premier Dental by calling (732) 264-4477. As the best dentist in the local area, we are fully equipped to provide you with a complete range of restorative care procedures. Our team looks forward to helping you care for your smile. When your regular dental exams reveal that you have advanced gum disease, your dentist may refer you to a periodontist. In this video, you will learn all about what you can expect from your trip to the periodontist. Periodontics is a term that refers to the care and treatment of gum disease. With targeted periodontal care, you can prevent, diagnose, or treat gum disease in your smile. To get in touch with a top quality dentist serving Hazlet, be sure to contact Glenwood Premier Dental. Dr. Wassef is highly experienced in many forms of dental care , and he can make sure that your smile is perfectly healthy. Give us a call at (732) 264-4477 to make an appointment for your next dental exam. If you have concerns about your missing teeth, now may be the time to talk to your dentist about the possibility of getting dentures. Dentures are a gentle, safe, and effective replacement for one or more missing teeth. Whether you receive partial dentures, or dentures that replace many of your teeth, it is very important to care for your new appliance properly. Read on for some tips for caring for your new set of dentures. One of the key steps of caring for your dentures is to brush them every day. Like your natural teeth, dentures can develop plaque and other forms of build up over time. By brushing your dentures, you can eliminate plaque and other issues at the surface level. Rather than using conventional toothpaste to brush your dentures, you should always brush them with a denture cleaning product. Along with daily brushing, dentures also need to be soaked in a specially formulated cleaning solution in order to maintain their durability and longevity. To provide your dentures with a deeper clean than brushing can provide on its own, you may want to soak them overnight in denture cleaner. While your dentures may seem like they are extremely durable, they can actually crack and break if they are not handled properly. Whenever you are not wearing your dentures, you can care for them by placing them on a folded towel. Overnight, your dentures will be safest if they are left to sit in their cleaning solution. If you have questions about what you can expect when you receive dentures , be sure to contact Glenwood Premier Dental. 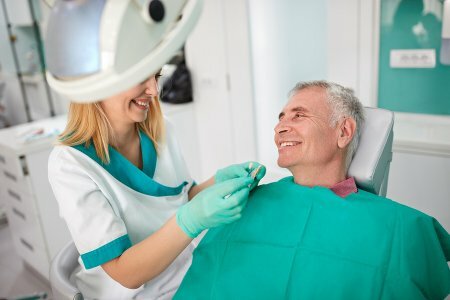 We are thrilled to be a top rated dentist serving Hazlet, and Dr. Wassef can provide you with detailed information about what you can expect from your dentures and restorative care services. Call us at (732) 264-4477 to book your next dental appointment.